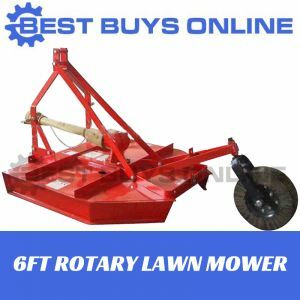 This Heavy Duty Rotary Hoe Tiller PTO Powered 2.1m Working Width is ideal for preparing your top soil for planting, vine yards, orchards, lawn areas and more. 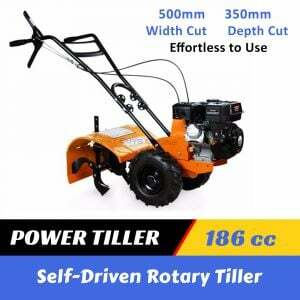 Designed to meet Australian Standards and imported by one of Australia's most reputable companies, you'll be happy to you purchased this little beauty. 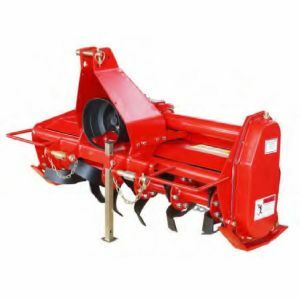 Our unit has 9 sets of 9 tiller cutting blades per flange as well as adjutsable rear flap for safety, extra strong design ensures longer life and reliability. 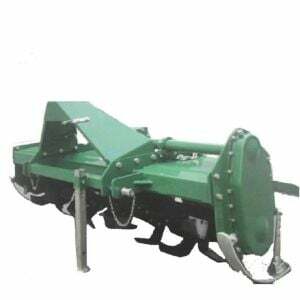 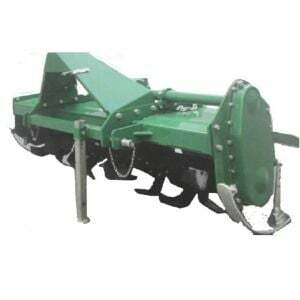 Rear deflector keeps soil and debris beneath the tiller for thorough pulverisation. 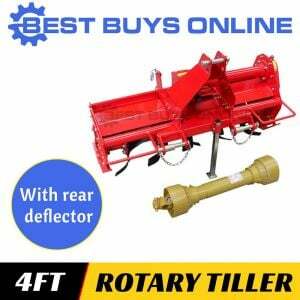 Using the power of your tractor and attached with the 3 point linkage, this robust rotary hoe tiller will turn your soil with the greatest of ease. With a working width of 2.1m and a digging depth maximum up to 14cm, you'll get through your job with ease.